Life is full of tricky foods, but this incredible Easter recipe offers up the biggest trick of all, in a good way! 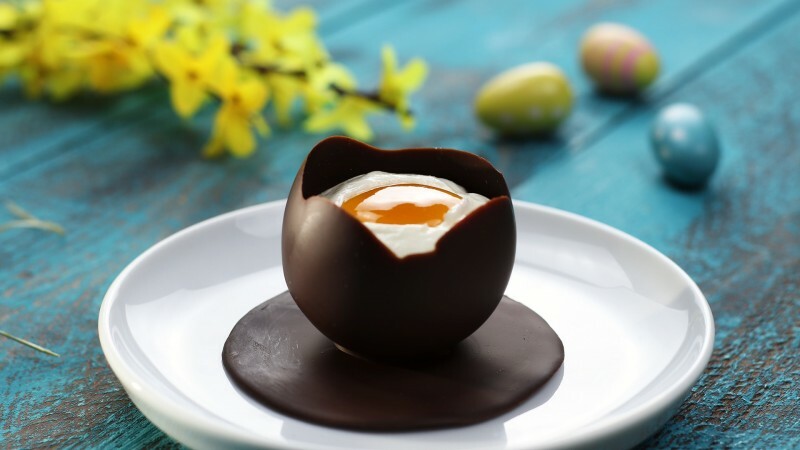 Here you get to make an oh-so-elegant and delectable chocolate eggshell and fill it with a heavenly white chocolate cream (the egg white), plus yummy jam (the egg yolk). The color of the shell might just give it away, but still... Mm-mm! 1. 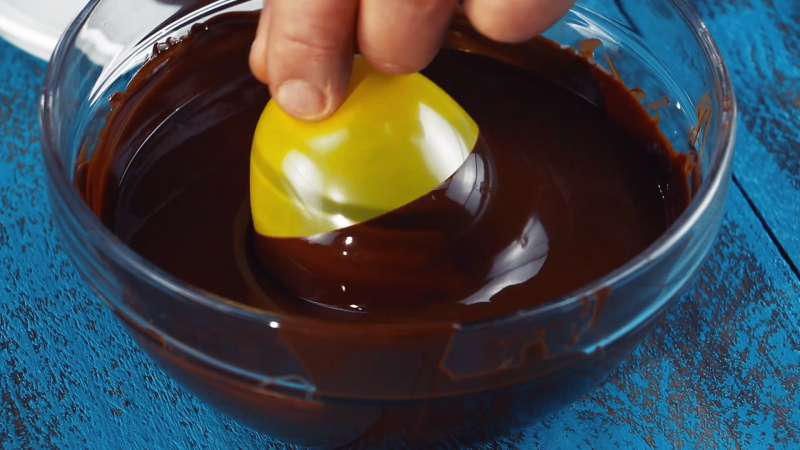 Chop the semisweet chocolate up finely and melt it over a double boiler. Take care that the water itself doesn't get into the chocolate. Only the steam should make contact to the bowl. Also, if you heat it up too high, it'll clump. 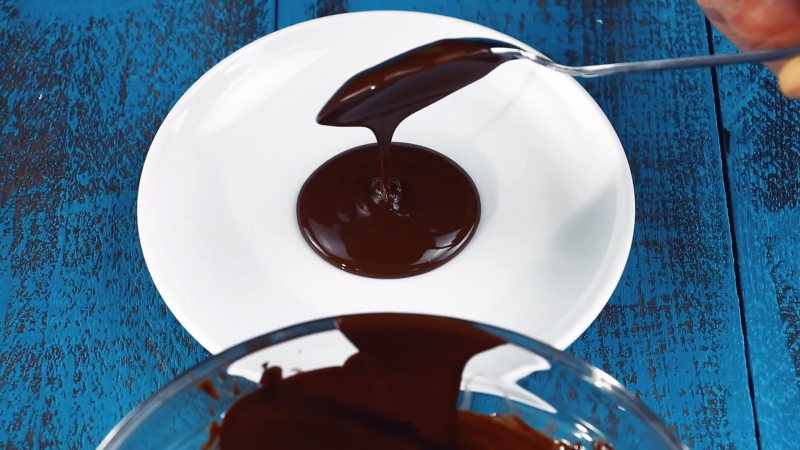 Place a spoonful of chocolate in the middle of a dessert plate and allow it to start to firm up. 2. While the chocolate is hardening, blow up four little balloons to about 3 inches across. Wipe them off carefully to be sure they're clean, and now dip them into the rest of the melted chocolate. 3. Press the balloons one by one onto the chocolate on the plate, letting each dry while holding the balloon so it doesn't slip. 4. As soon as the chocolate has completely hardened you can prick the balloon with a pin and remove it altogether. 5. 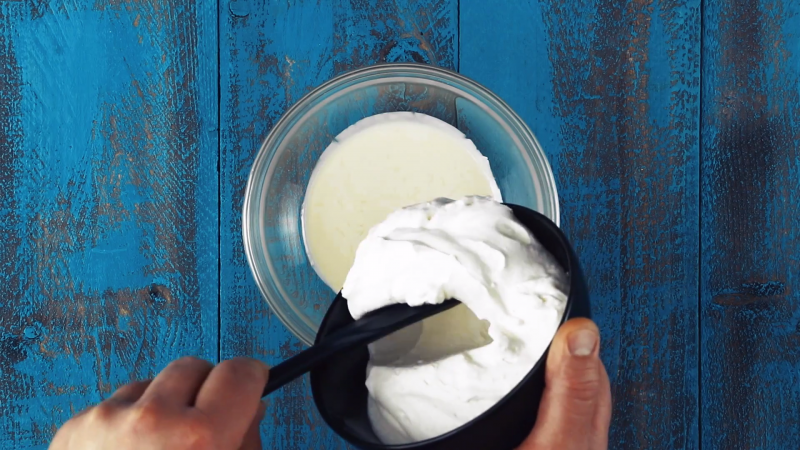 For the mousse filling, melt the white chocolate and mix it together with the whipped cream. Then pipe it into the eggshells. 6. 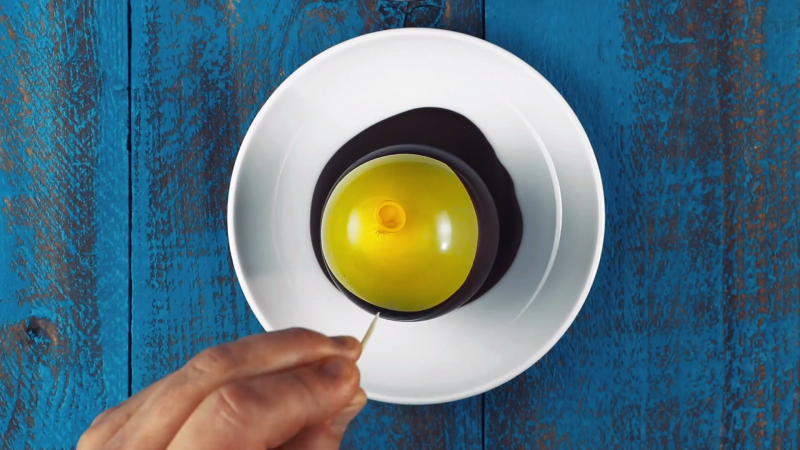 For the "yolk," hollow out a little spot in the middle of the mousse. Spoon a dollop of jam in and there you have your perfect Easter dessert! Deception in this case is certainly worth it. And of course, you can fill it with any other kind of mousse too, to suit the season or celebration. 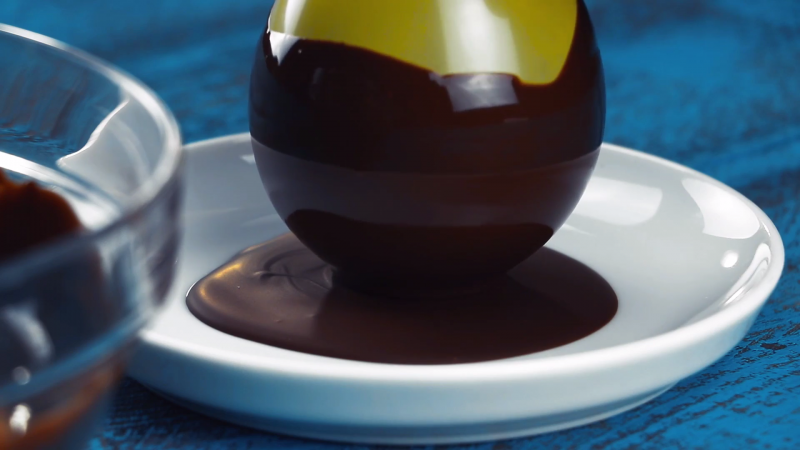 This particular sneaky egg will thrill (and impress) your holiday guests. It looks so pretty, you won't want to eat it — but you won't be able to resist, either!